Steph and Ian had lived in Hertfordshire all their lives, having met and married there 41 years ago. Approaching retirement, ex-NHS worker Stephanie and ex-Firefighter Ian were hoping to relocate to Norfolk for a quieter pace of life. Ian’s passion for sailing meant that he had always dreamt of living by the sea and loved the idea of seaside visits from their grandson. Stephanie, on the other hand, wanted to explore what the countryside had to offer in hope of big open spaces, peace and tranquillity. 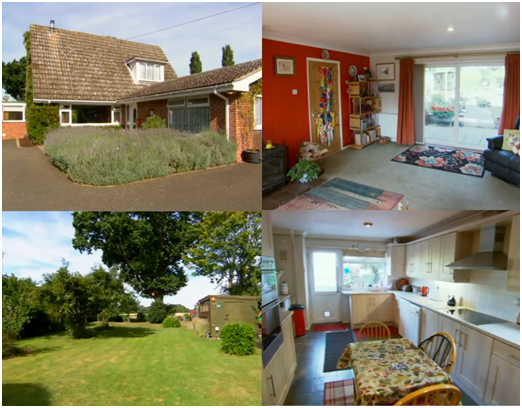 With a budget of £300,000 their requirements included a minimum of 3 bedrooms in a bungalow with nice sized garden. Steph and Ian found their dream forever home in the quaint village of Carbrooke, in the Country. On the market bang on budget at £300,000 was a spacious countryside chalet bungalow with an annexe offering picturesque countryside views of neighbouring fields and a large secure garden. Steph and Ian were delighted to offer £285,000 for this property and this offer was accepted.